I found the Main station mark disk, and both reference marks nearby. It was fun to hunt them down! Enjoyed staying here with 3MudDogs, Two Finders Keepers and MsSkarlet for the weekend. We spotted this while staying at the lookout for the weekend. Found this one while spending the weekend up at the lookout. Beautiful place! 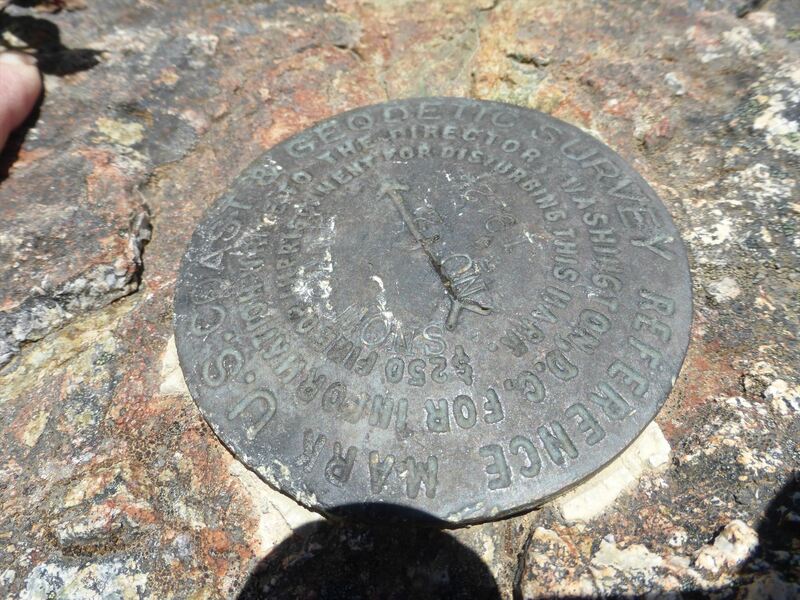 DESCRIBED BY COAST AND GEODETIC SURVEY 1942 (JCS) STATION IS ON SNOW CAMP MOUNTAIN AND IS ABOUT 25 FEET SSE OF THE HIGHEST POINT OF THE RIDGE. 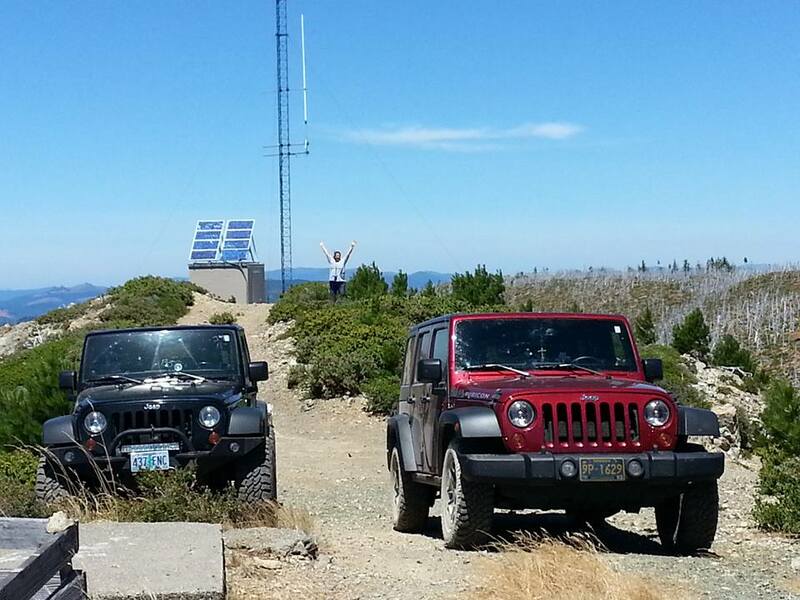 THE MOUNTAIN IS ALSO OCCUPIED BY THE U.S. FOREST SERVICE LOOKOUT CALLED SNOW CAMP LOOKOUT. STATION IS ABOUT 14 MILES, AIR LINE, SE OF GOLD BEACH, 13 MILES ENE OF PISTOL RIVER POST OFFICE, 15-1/2 MILES SSW OF AGNESS, AND IS ON THE HIGHEST POINT IN THIS VICINITY, OVERLOOKING ALL THE AREA TO THE SW AND N. THERE ARE SOME HIGHER PEAKS TO THE NE AND E. STATION MARK IS A BRONZE DISK SET IN A DRILL HOLE IN A ROCK OUTCROPPING FLUSH WITH THE GROUND, STAMPED SNOW CAMP 1942. NO UNDERGROUND MARK WAS ESTABLISHED. REFERENCE MARK IS A BRONZE DISK SET IN A DRILL HOLE IN A ROCK OUTCROPPING FLUSH WITH THE GROUND, STAMPED SNOW CAMP NO.1 1942. MARK IS ABOUT 30 INCHES LOWER THAN THE STATION MARK. REFERENCE MARK IS A BRONZE DISK SET IN A DRILL HOLE IN A ROCK OUTCROPPING ABOUT 8 INCHES ABOVE THE GROUND, STAMPED SNOW CAMP NO.2 1942. MARK IS ABOUT 16 INCHES HIGHER THAN THE STATION MARK. 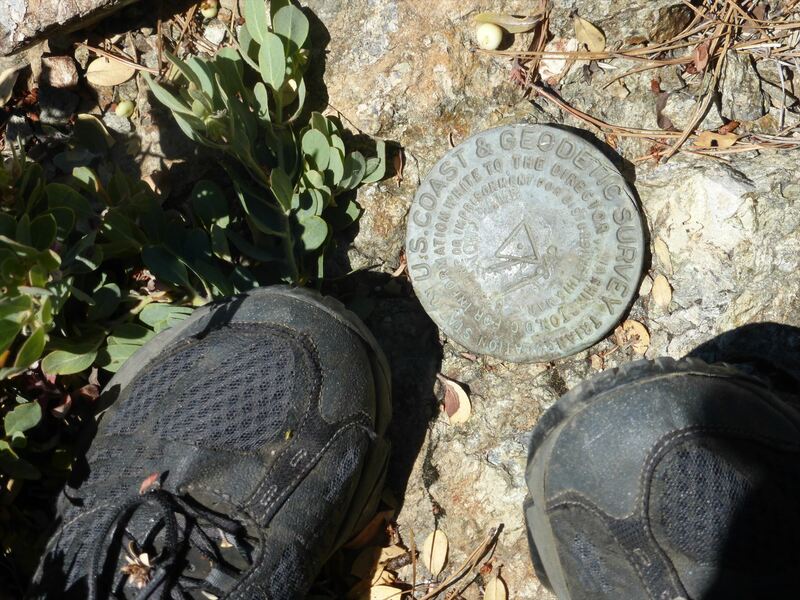 AZIMUTH MARK IS A BRONZE DISK SET IN A DRILL HOLE IN A ROCK OUTCROPPING ABOUT 30 INCHES ABOVE THE GROUND, STAMPED SNOW CAMP 1942. LOCATED 20 FEET FROM THE CENTER LINE OF THE ROAD, 0.2 MILE FROM THE END OF TRUCK TRAVEL, AND IS ABOUT 1/4 MILE NE BY E OF THE STATION. TO REACH FROM PISTOL RIVER POST OFFICE ON U.S. HIGHWAY 101, GO E ON A GRADED ROAD AS PER THE SIGN SNOW CAMP RD. 24 1/2, A MAIN ROAD UP OVER THE MOUNTAINS FOR 1.5 MILES. TAKE THE LEFT FORK NEAR A BRIDGE AND CONTINUE ON THE PISTOL RIVER ROAD EASTERLY AND NORTHERLY FOR 15.6 MILES TO THE PYRAMID ROCK LOOKOUT ROAD AND SIGN. CONTINUE NE ON THE RIGHT-HAND FORK FOR 6.7 MILES TO FORKS AND SIGN HUNTER CREEK RD., END OF ROAD. TAKE THE RIGHT FORK AND GO 0.5 MILE TO FORKS AND SIGN SNOW CAMP TR. 5, WILDHORSE L.O. 7. THENCE TAKE THE RIGHT FORK FOR 5.1 MILES TO FORKS. THENCE TAKE THE RIGHT FORK FOR 0.3 MILE TO THE BASE OF THE CLIFF AND THE END OF TRUCK TRAVEL. FROM HERE PACK UP THE WELL-DEFINED TRAIL ABOUT 200 YARDS TO THE LOOKOUT HOUSE AND THE STATION. HEIGHT OF LIGHT ABOVE STATION MARK 1.3 METERS.